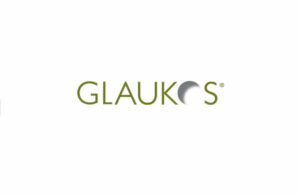 Glaukos (NYSE:GKOS) said today that a study of its iStent trabecular micro-bypass stents reduced eye pressure in glaucoma patients five years after implant. The same study showed that significantly fewer iStent patients needed add-on medications after five years, the company said. The study showed that newly diagnosed, primary open-angle glaucoma (POAG) patients who received two iStents achieved a 35.3% reduction in mean intraocular pressure (IOP) to 16.5 mmHg. The prospective, controlled, multi-surgeon clinical trial pitted evaluated the five-year safety and efficacy of two iStents vs. topical prostaglandin as an initial intervention in POAG subjects who had not had prior glaucoma treatment. A total of 101 subjects were randomized in a 1:1 ratio to receive either two iStents in a standalone procedure or once-daily topical travoprost, a commonly prescribed prostaglandin. The results were published in Ophthalmology Glaucoma. Treatment success — defined as mean diurnal IOP of 6 mmHg to 18 mmHg without add-on medication or secondary glaucoma surgery — was achieved in 77% of stent eyes vs. 53% of travoprost eyes (p = 0.04). Seventeen percent of stent eyes vs. 44% of travoprost eyes required add-on medication. The need for add-on medication arose at a slower rate in the stent group than in the travoprost group, especially after two years of follow-up. Study authors observed that from two to five years of follow-up, add-on medications were initiated in roughly double the number of travoprost eyes vs. stent eyes. The safety profile was excellent in both groups throughout follow-up, according to the San Clemente, Calif.-based company. Three-year outcomes of this study were published in 2016 in Ophthalmology and Therapy. The most recent article detailing five-year outcomes may be accessed online here. Today’s announcement was good news for Glaukos, whose iStent recently fared worse in a two-year study that compared it to competitor Ivantis’ Hydrus Microstent. 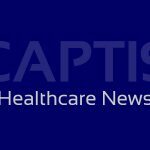 The Ivantis study touted reductions in medication use and no reoperations for patients in the Hydrus arm.